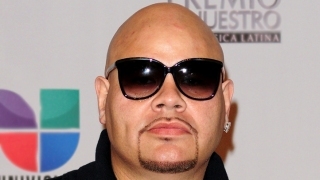 Fat Joe was among the performers at the concert where a fight began on the floor. A fight broke out at a hip-hop concert in New Jersey, delaying a show that already was starting late due to bad weather. Organizers canceled an outdoor pre-show for Hot 97 Summer Jam scheduled for Sunday afternoon at MetLife Stadium in East Rutherford as strong storms moved through the area. The main show was still on, but delayed. NJ.com reports the weather wasn't the only thing to put a damper on the event. A fight broke out in the floor seats after the show's billed Terror Squad reunion featuring Fat Joe and Remy Ma and folding chairs went flying. State police say they're investigating. There's no word on any arrests. Last year, 61 people were arrested and 10 state troopers were injured during a clash outside Summer Jam.